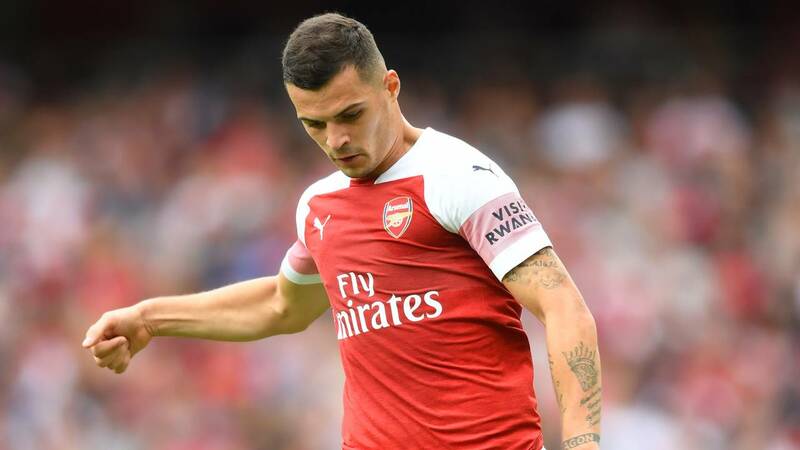 Arsenal midfielder Granit Xhaka wears the "Visit Rwanda" patch during the team's match against Manchester City. (CNN) - With "Visit Rwanda' emblazoned on its kit, Arsenal F.C. made its season debut against Manchester City in a big-name clash in the English Premier League Sunday. The sponsorship is a bid to promote tourism in the central East African nation, but with UN figures showing more than 60 percent of Rwandans living in extreme poverty, critics have slammed the multimillion dollar deal. Arsenal announced the three-year tourism partnership in the lead up to the start of the Premier League season -- but neither side has confirmed exactly just how much it cost. "The media has been speculating around £30 million but what I can tell you it's not £30 million, it's less than that," CEO of the Rwanda Development Board, Clare Akamanzi, told CNN. It appears the investment stems from the country's president, Paul Kagame, who describes himself as a "committed fan" of his "beloved club Arsenal" -- a devotion shared by many Rwandans. The logo will appear on all first team, Under-23 and Arsenal Women's shirts. "Thirty five million people (will be) viewing their (Arsenal's) shirts every single day," Akamanzi said. Each year Rwanda receives millions of dollars in foreign aid, however its government says funding to sponsor Arsenal has come from tourism revenue. The RBD reports that 1.3 million people visited Rwanda last year. Arsenal is the sixth largest football club in the world, according to Deloitte. Manchester United has the top spot, followed by Real Madrid.